Now, I've talked about my love for dark interiors before but I'll wholeheartedly admit that I'm a straight up Cowardly Lion when it comes to acting on this trend. What if the look is TOO dark? What if the color starts to have an impact on my mental health? What if it just ends up looking like I'm undergoing a late-stage Goth phase? Etc, etc. Perhaps someday when I'm occupying a larger space with more room for error, I'll give it a try...But until then, I'll continue to admire it through the safety of my computer screen. All that said, I'm obsessed with the look of bold black decor—specifically of the matte variety. This muted black tone gives off a subtly sophisticated vibe and offers a softer look than that of a high-gloss (a little less Kardashian and a little more Steve McQueen, if you will). If you're also hesitant to dive into the dark side, here are a few of my favorite matte black decor pieces that will give you that edgy appeal without the overcommitment (or accidental goth). I'll be the first to admit—I'm an indigo FIEND. My eyes literally begin to swirl and I crossover into a hypnotic state every time it shows up in my line of sight. It's one of the most addictive colors on the spectrum—the slipperiest of all slopes. Even just the smallest dose of it will leave you wanting more. And before you know it, you can be faced with an IOD (Indigo Overdose). No matter how much of that Blue Magic* you're confronted with, it's crucial to know when enough is enough. If you're going the multiple and subtle route (like above), pick a few key indigo accents (or family of accents) to feature in a bright, white space. 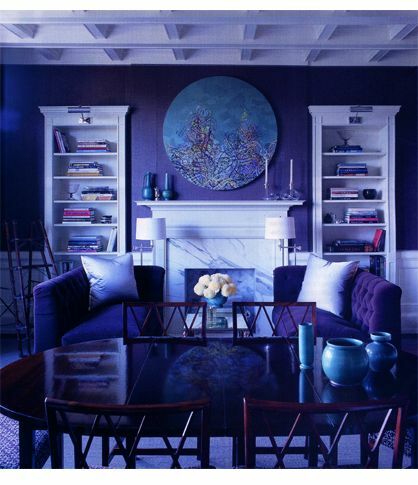 And be sure to use varying shades of indigo (lights and darks). When going singular and bold (below), white/grey walls and natural accents (wood, leather, greenery) help to neutralize indigo's hypnotic effects. Here's a roundup of some of my recent indigo favorites that manage to keep it under control. 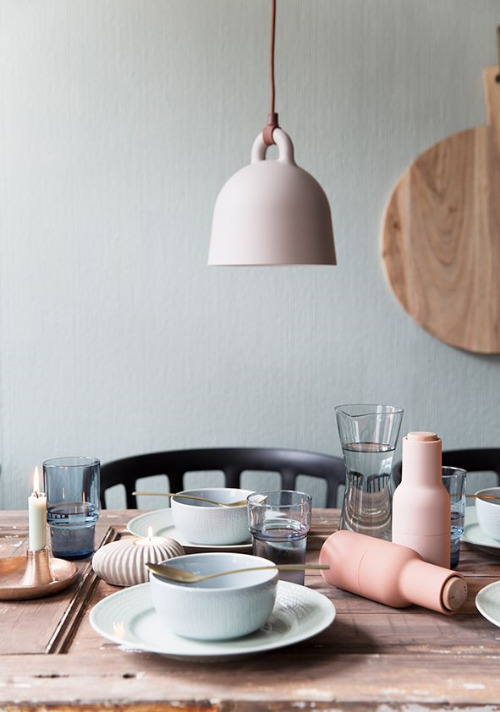 I'm always hesitant towards anything overly pink but lately I've been loving the look of a subtle and muted blush. It's like a low-dose pink for those of us fearful of accidentally creating a life-size Barbie Dream Home. Used sparingly, blush elements can add a cozy and inviting pop of warmth among neutral or cooler tones. Here's a collection of some of my favorite blush accents of late. I know, I know, the chair isn't technically blush but I just love it so much and I've been waiting forever to use it in a post. And just look how WELL does it go with this tone!